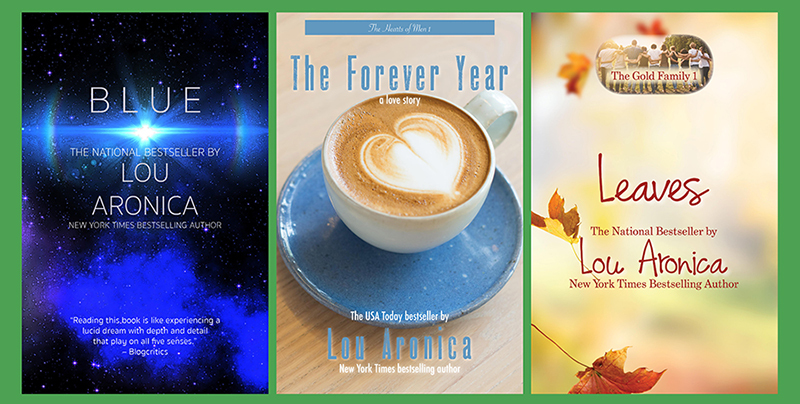 Before becoming an author, Lou Aronica was a publishing executive for Bantam Books, Berkley Publishing and Avon Books, specializing in science fiction and fantasy but working in several genres. He co-edited the Full Spectrum anthologies with Shawna McCarthy and has worked with publishing pioneer Ian Ballantine, authors such as Ray Bradbury and the writers at Lucasfilm. His first novel, The Forever Year, came out in 2004 (originally under the pen name Ronald Anthony), and was followed by a nonfiction book, A Million Thanks, co-authored with Shauna Fleming. He's added nearly 30 books since then, including the New York Times bestsellers The Element and Finding Your Element (both with Ken Robinson) and national bestsellers Blue (fantasy), When You Went Away, The Journey Home and Anything (romance) and Leaves (women's fiction). Host Patricia McLinn talks with Lou about working on both sides of the desk and how he overcomes the hurdles of being a male romance novelist.